For years Ave works with the best architects of the Italian and international scene. Surely, Simone Micheli is one of the most important partner whereby Ave has worked. Over time, Ave and the famous architect have consolidated a durable employment relationship, from which were born ambitious projects such as the recent Barcelò Milan Hotel and prestigious events like the exhibition Different Suites for different people. Organized by Simone Micheli during Fuorisalone 2016, this exhibition wasn’t only a space dedicated to the hospitality industry, but it was a real reform of “hospitality” concept. 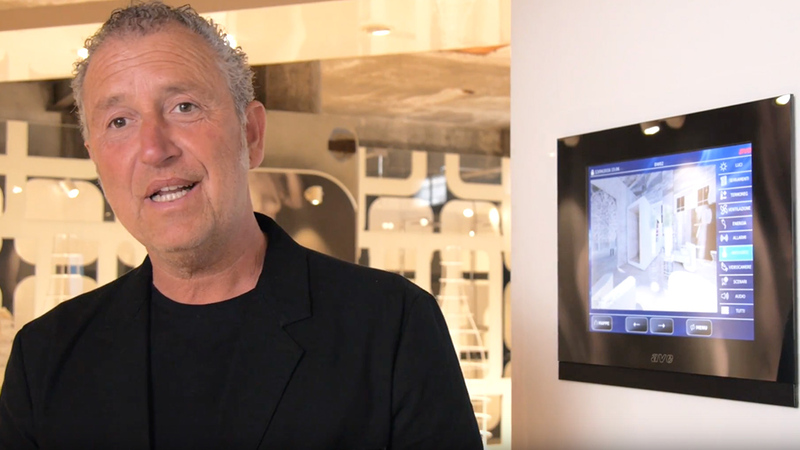 In addition to recording a great success, the event from Milano was been an opportunity for Micheli to talk about Ave, telling his choices, his experience with Ave’s design and hotel automation. «It’s wonderful to do styling for a hotel. It’s wonderful to imagine that the hotel is managed in an extraordinary way. Through home automation systems it’s not only possible to control, but also to optimize. » Ave hotel automation enters into hotels as «a basic element», said Micheli who also spoke on the appeal of Italian design and at the question: « What “Made in Italy” means today? », he answered: «To create stories as true works of art. Building hotels conceiving them like real works of art makes the difference, in terms of communication and trade terms». In the global market, “Made in Italy” is widely recognized as an added value, a strong point where Ave has always focused its attention. The aforementioned Barcelò Hotel Milan is an example of beauty, a symbol of design where the renowned architect chose to install Ave’s products. Micheli described products Barceló Milan Hotel as «a clean rigorous essential hotel, but is also playful and especially consistent. For this reason, the visible elements of Ave that I’ve selected are simple, clean, perfect». Instructed to develop interior design and lighting project, the architect has designed these spaces as a true artwork selecting Ave as partner to create a real contact with light. LUX DOMO is the most historical Italian brand of switches and sockets. In 1904 was the name of the first line of switches produced in Italy by AVE. A brand that has always represented elegance, design and prestige.